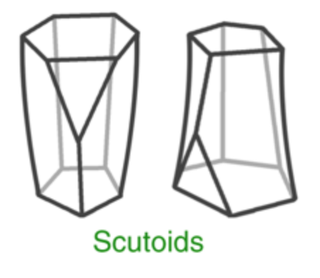 Scientists have just defined a new shape called the scutoid (SCOO-toid) while studying epithelial cells, the building blocks of embryos that eventually end up forming our skin and lining our organs and blood vessels. They think the scutoid shape is extremely efficient at keeping cells tightly-packed and organised in the literal twists and turns of development. As embryos grow, their tissues curve and bend as they start to form into organs. Scientists thought the cells could stay tightly packed if they were bottle- or column-shaped, but computer modelling suggested that a more complex shape would be more likely. Using microscopy and computer imaging, the team confirmed that cells found in fruit fly salivary glands and cells in zebrafish were indeed scutoid-shaped. As noted in their paper published Friday in Nature Communications, the researchers believe these scutoid-shaped cells exist in any curved sheet of epithelial cells—even in humans. Luis Escudero, a developmental biologist at the University of Seville in Spain and co-author on the work, told Gizmodo that it was difficult to define what the new shape actually looked in the early stages of computer modelling. It didn’t become clear until he modelled it in clay one day with his daughter. When the team went to identify the shape by name, they realised it was completely new to mathematics and geometry. “It was such a surprise!” Escudero told Gizmodo. 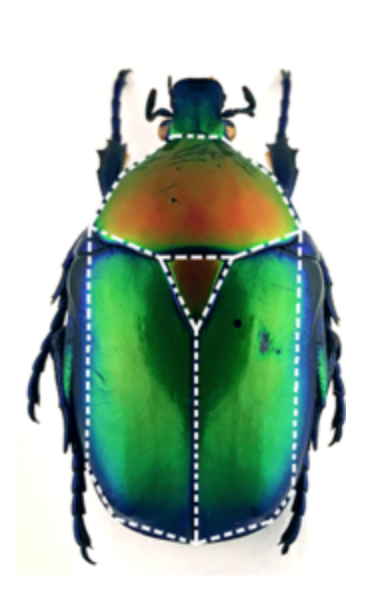 They decided to name the scutoid after the scutellum of a beetle (a part of its thorax), because the two look similar from a top-down view. Javier Buceta, systems biologist at Lehigh University and co-author, was grateful for the chance to name a new geometric shape. “You normally don’t have the opportunity in your life to name something that will hopefully be there forever,” Buceta told Gizmodo. “It’s not going to be the circle or the square, but we have been able to name a new shape” never before seen in nature. It’s unclear whether the shape will become obsolete following the introduction of the triquandle. The team also noted that the scutoid could have applications in many scientific fields, including medical biology. For example, since scutoid-shaped cells are so efficient at staying packed together during development, they could be great for growing artificial organs, because they would offer architectural stability when a tissue bends.